ENO (Echo) Bluetooth Speaker. Eagles Nest Outfitters. 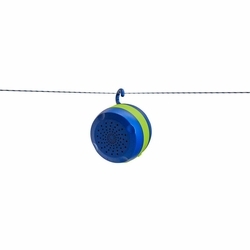 This Bluetooth® enabled portable speaker not only weighs next to nothing and fits conveniently in any pocket, purse or festival pack, but its hammock-specific design and built-in hanging hook angles the speaker for an optimized listening experience.